You do not include in your gross income qualified distributions or distributions that are a return of your regular contributions from your Roth IRA(s). The rules for Roth IRAs permit you to do something that isnâ€™t allowed for regular IRAs: withdraw the nontaxable part of your money first. Distributions from regular IRAs come partly from earnings and partly from contributions. But when you take money out of a Roth IRA, the first dollars you take out are considered to be a return of your non-rollover contributions. You donâ€™t have to meet any special tests to receive those dollars free of tax. You can take them out any time, for any reason, without paying tax or penalties. Be aware that you may take your regular Roth IRA contributions (but not earnings) at any time for any purpose free of income taxes and penalty. So there you have it… Regular Roth IRA contributions can be yanked out whenever you want without having to pay the piper. So why am I telling you this? Simple. It’s not that I want you to drain your retirement account — quite the opposite… The flexibility to withdraw your contributions means that you can stretch your budget and stuff your Roth with money even if you’re not sure that you can really afford it. Worried that your car might break down? Or that a medical emergency might arise? Don’t let that get in the way of maxing out your Roth IRA, as you can always unring the bell (so to speak) if necessary. But you can’t go back and make those contributions in future years, so do it now (and every year) while you still can. I had the same question as everybody else. I think most people got their answer for the general principles. What’s not clear is the practical procedures; especially the form from my broker Scottrade makes it more confusing. Here’s my research findings: You check off the box requesting distributions as ‘Premature Distribution’. When it comes to tax time, you turn in the forms as described here: http://askville.amazon.com/Roth-IRA-withdrawals/AnswerViewer.do?requestId=6492316. If you do not withdraw more than you have contributed, you owe no tax. I used to be suggested this website by means of my cousin. I’m no longer positive whether or not this submit is written by him as no one else recognise such detailed approximately my problem. You are amazing! Thanks! I am getting more and more confused the more I keep doing research into this matter. I had $7,600 in contributions in my Roth IRA. My financial advisor informed me that I could withdraw that amount penalty free. I withdrew $7,500 to help with a major expense last year. I received a 1099-R that listed the amount and now I am worried I am going to get taxed? Is that $7,500 taxable? My Roth IRA is well over 5 years old but I am under 59 years old. Please help! I realize that distributions from a Roth IRA are not taxable for Federal tax purposes– BUT, I live in Vermont which according to Forbes is the LEAST friendly state for retirees in the nation. They would tax the air if they could..Question is “are these distributions taxable for Vermont income tax purposes? I’m also withdrawing from Scott. The problem is just semantics. You are making a premature, “nonqualified distribution”, but when you put it in the correct form when filing taxes (NOT the Scottrade form), it’s netted out of your total contributions on a different line. So even though it is nonqualified, it is nontaxable after it is subtracted from the line where you enter “total contributions”. Check the link below. I made a non-taxable withdrawal from my Roth IRA. What I was wondering is if I can contribute to a regular IRA in the same year that I make a withdrawal from my Roth IRA. I am trying to withdraw some Roth Ira contributions from Scottrade, and the form they sent me is a SDIRA Distribution Request. As I am not yet 59.5, I don’t want to call it a premature distribution, or an excess contribution. I just want to take the cash back out to buy a piece of property (not first home). Do I call it a “Qualified” Distr? I think I need a different form: withdrawing the principle or something. Can anyone help, please? “Qualified distributions” can be withdrawn at any time because you have met the qualifications. If you have not held the Roth for over 5 years and you are not at least 59 1/2 you cannot withdraw the funds without penalty and taxes may be determined based on the pecking order. You can take out any principal you’ve put in. It doesn’t matter when you contributed as long as you don’t withdraw more than the total you’ve contributed. Ok what if I put $2000 in a Roth IRA in 2005 but have not contributed since. The account has fluctuated from $2000 to as low as $1300. It is now back up to around $1900. Can I pull it all out without penalty or will I be penalized because 1) I haven’t been contributing, or 2) because even though I contributed $2000 it went down and gained $600 so the $600 is taxable? i am a little confused on the 5 year withdrawal without penalty rule. eg If I contributed 4,ooo each year for the last 5 years, am i able to take out all 20,000 now if needed or does each years contributions have to be in there for 5 years… In other words would I only be able to take out the first $4,ooo now because that is the only contributions that has been in there for five years? It is a terrible idea to withdraw contributions from your Roth IRA. Unless you are in dire need, you are hurting yourself in the long run because that money won’t continue to grow for your retirement. IRS Regs are authoritative guidance. I understand that withdrawing the contributory asset from the Roth IRA is tax and penalty free after 5 years. My only question is HOW do I withdraw it. Do I need to fill in any IRS form? Thanks. It may be a personal failing on my part, but I’m having trouble sorting out why the differences of treatment (if any) relative to withdrawals of regular yearly contributions vs withdrawals of contributions as the result of a roll-over. If funds injected into a Roth from a rollover of a Traditional IRA are fully tax paid, why a five year wait to access the funds without penalty?? Carol – you can take out any amount of your contributions tax-free at any time. I also found out that you can put your contribution (only for the current year) back in within 60 days. I am under age 59 – can I make a withdrawal of ‘contributions’ [not earnings] both tax and penalty free?? is there a minimum or maximum withdrawal?? I’m interested in the rules regarding withdrawing your contributions and putting them back in. Does anyone know the rules on that? I thought you could pull out your contributions and the IRS gave you 60 days to put them back in. Is this true? What if you contribute at the beginning of 2007, but then you get a big bonus, big raise which puts you over the contribution limit? You have to take it out right? But what about the increase in value of the $4k? Norm, thanks for your comments… They keep me honest! Was just going back through some old posts and, seeing as I was the ” recent commenter, however, challenged the veracity of this claim, ” referred to above, I must say it makes me feel a little better to realize that there are plenty of other people somewhat confused about this topic. It was a great post nickel…thanks! I don’t think it is that clear. I’ve been reading through IRS p590 and it says you can pull out contributions by due date of the tax return for the year the contribution was made. Then it says you must include the earnings as income for the year of the contribution. Previous years contributions aren’t considered qualified and are subject to the additional (10%) tax on early distributions. I think ‘regular contribution’ only refers to that tax years contribution and must be pulled out before the tax return due date to avoid the penalty. Withdrawing from your IRA (or the ability to) provides much needed flexability but should still be one of the last resorts since you are truly defeating the tax purposes and taking a hit to your retirement. Awesome thanks! This was my understanding, but I hadn’t really found an authoritative document that explicitly said it. Great job nickel, very informative post. Good Job Nickel-That doubting Thomas would really fret when you tell em that some people even put real estate in their Roth’s! Pretty sweet for folks who have the cash in the Roth’s and don’t want to worry about tax gains when flipping properties! 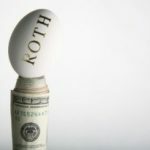 Is anyone concerned that the government will one day change the rules on Roth’s especially with the impending social programs financial problems? Thats the other reason I wanted to rebuild my paper trail. If they did change the rules I don’t know in what manner they would do it but if they did it would make the Roth a far inferior vehicle to anything tax deductible. Anyone concerned about this? I have heard some financial advisors comment on its possibility. If it happens I would hope they would just halt future contributions and not tax anything currently in Roth accounts. However my fear is that the desire to do it would stem from the need for more tax revenues. The large untaxed stream of dollars sitting in Roth’s could be pretty tempting to some who think that certain people are not paying their fair share by having this money on which they will never owe any tax. It wouldn’t be too hard for people to start a fairness argument about it and get some serious headway. 1. regular Roth IRA participant contributions. 2. taxable Traditional IRA conversions. 3. nontaxable Traditional IRA conversions. 4. earnings on all Roth IRA assets. #2 is the one I was talking about. only 1 and 3 are fully tax and penalty free. 2 is tax free since taxes are paid at conversion but will have a 10% penalty if it has been less than 5 years since the conversion. If its been more than 5 years then it is also tax and penalty free. I think I recall reading something like that now that I see it again. It doesn’t seem to make much sense to me that 2 comes out before 3 but I guess its amazing it makes as much sense as it does. I try to keep pretty good records of my conversions and contributions but my Roth has been moved around a little bit and I lost a little paperwork. I had recently worked to rebuild my paper trail by contacting the plan administrators and asking for back paper work and I think I have the trail fully rebuilt. I don’t plan to tap it, but I just wanted to know if I did that I could prove my contributions and conversions. I can’t seem to find a clear and explicit explanation of how this affects conversions from a non-taxable traditional IRA that was put into a Roth IRA. That being money that was put into a traditional IRA that was put in on a pre-tax basis and then converted to a Roth IRA and then the full taxes paid on the entire conversion amount at the time of conversion. This money is taxed in the same way as a normal contribution is but it allows one to pile a lot more money into the Roth if you have money in a traditional (especially if rolled from a former 401-k) and meet the income limits to qualify for the conversion. There is one quote above that mentions “and from nontaxable conversions of Traditional IRA” but I am not sure exactly what that means. What exactly is a nontaxable conversion? My conversions were from non taxable IRAs but the conversion itself was most definatley a taxable event. I would think I could withdraw that entire sum in addition to contributions since I have already paid the full tax on it but perhaps that is not the case. Is it clear what I am talking about? Can you shed any light on that nickel? 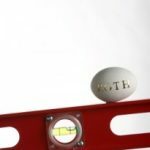 Is the contribution limit to a Roth IRA net? For example, if I contributed 4000 in the beginning in the tax year, but a few months later withdrew 2000. Would I still be able to recontribute 2000 before the end of the tax year? Is this viewed as a 6000 dollar contribution for the year or a net 4000 contribution? Jerry: I agree completely. I’m only recommending this as a safety net for those that otherwise wouldn’t be contributing to their Roth out of fear of a cash flow crunch. In this case, those individuals would be best served by stuffing their Roth and then hoping for the best. If they can stave off the cash flow crunch, then they’ll come out ahead. If not, they can always get the money back out. One of the major drawbacks of taking a Roth withdrawal is that you can’t really put the money back in. If you put in $4000 one year and take out $2000, then you’re going to be $2000 behind forever, assuming you’re maxing out your contributions each year. So it’s kind of a last resort. Excellent post, I’ve been looking for something black and white like this….great job!